Sunny. Gusty winds diminishing during the afternoon. High 58F. Winds NW at 20 to 30 mph. Winds could occasionally gust over 40 mph..
Clear to partly cloudy. Low 37F. Winds NNW at 10 to 15 mph. If you’ve ever had a day where no matter how much you eat, you just can’t seem to get full, Costco might have the solution. It comes in the form of a 23.6-pound bucket of macaroni and cheese that costs $89.99 — or $2 a serving if you stick to the 180-serving size. The cheese and pasta are packaged separately, so if you’re hoping to open the lid and dig in, be aware that you’ll have to prepare the gigantic amount of mac and cheese first. There is some bad news though: It’s currently out of stock. If you can wait a bit, it’ll likely show up again soon and you can begin the greatest mac and cheese adventure of your life. 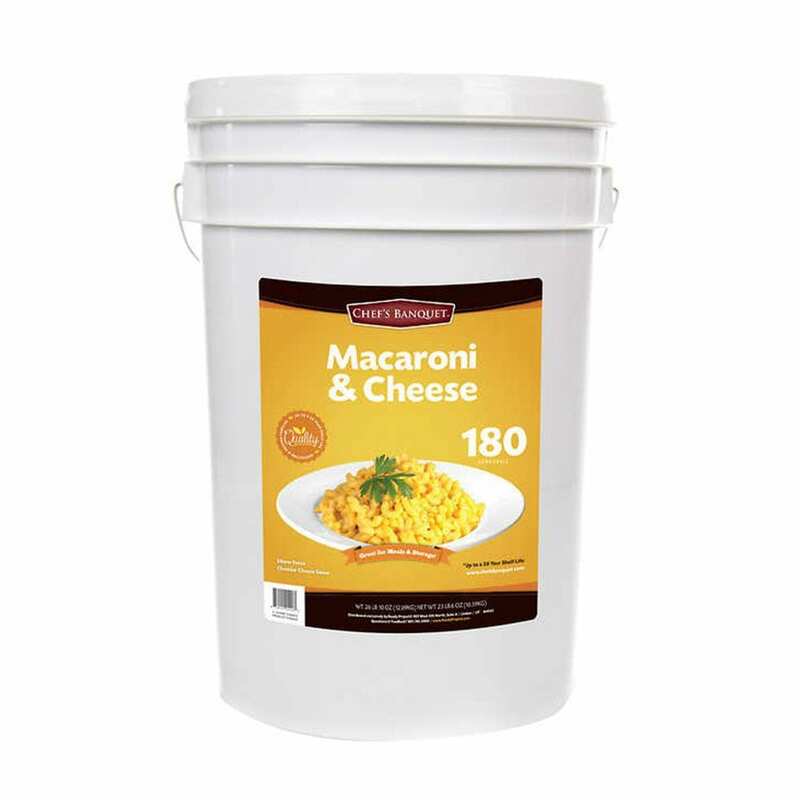 The bucket ‘o mac is listed in the emergency food section and has a shelf life of up to 20 years, so it’s clearly meant for a bunker/apocalypse-type scenario, but I personally believe that not having 24 pounds of macaroni and cheese in my basement is also an emergency. If you are into storing food as a precaution, Costco also offers a one-year stockpile of emergency food for $1,000. Included in the kit are cans of instant milk, bags of sugar, freeze-dried fruits and veggies, beans, instant rice, granola, salt and TVP (textured vegetable protein). Although it will only get you through one year if you eat it every day, it actually has a shelf life of 25 years, so you’ll be prepared for a while. If you’re not into prepping for disaster and simply enjoy massive amounts of food, Costco offers more oversized items, too. You can now buy a 6.6-pound bucket of Nutella to, you know, get you through the week. Sam’s Club is also offering up nine-pound buckets of Oreo frosting if dessert is more your thing. Will you be heading to Costco to pick up your 24-pound bucket of macaroni and cheese?